Slightly off-focus but the baubles arrived......so pleased with mine. I think I will be doing some more over the next few days/weeks. 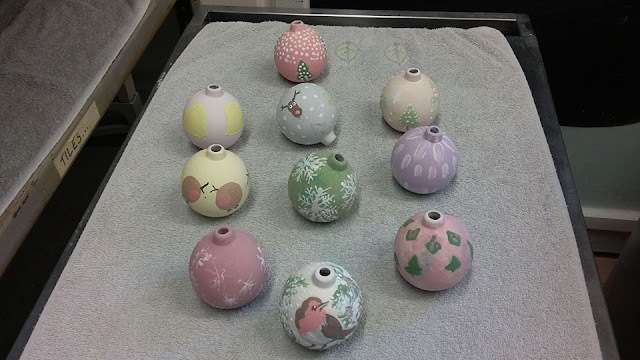 I loved the atmosphere of the pottery where I collected the baubles - so many opportunities and creative ways to idle away the odd hour! Yesterday we had a workshop in our village hall. 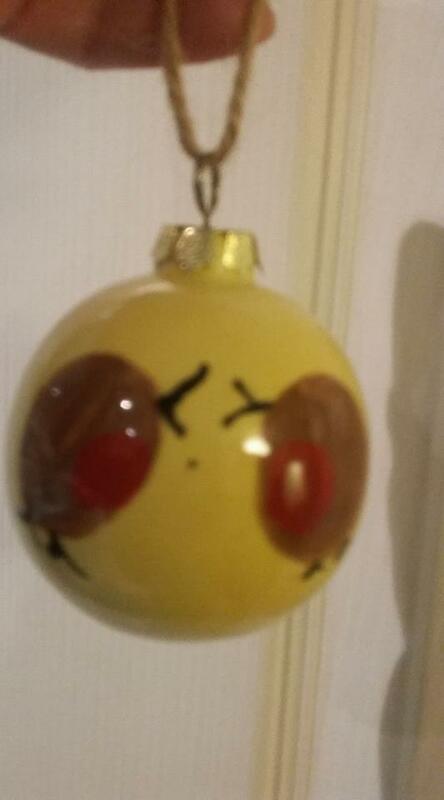 The potter provided bisque baubles which we painted with ceramic paints and glazes. As we speak they are being fired - I am so excited!